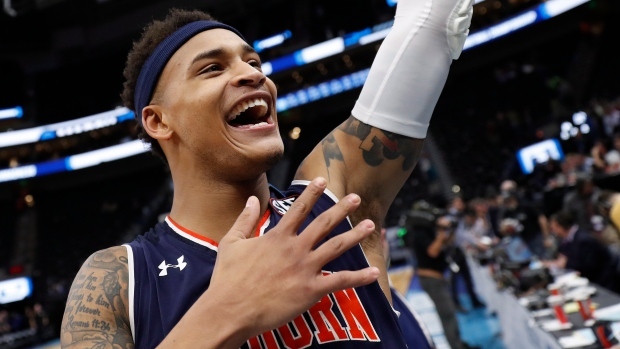 Auburn had a 17-point lead before the midpoint of the first half and kept pouring in shots, hitting 13 3-pointers while shooting 53 per cent against one of the college basketball's premier programs. A bigger problem for Kansas was the Tigers ran their offence like a Formula One car. Whipping quick passes around to set up open shots, Auburn made six of its first eight 3-pointers to race out to a 17-point lead in the opening eight minutes. With Kansas having to extend its defence, the inside opened up for the Tigers, who made 20 of 36 shots lead 51-25 by halftime. Brown was 6 of 8 from 3 and had 17 points by the break.